In 2017 we started off this project with a successful climb of the Mt Whitney Mountaineer’s Route. This year we will be tackling a Cascades trifecta: Mount Adams, Mount Saint Helens, and Mount Hood. Just like last year, we will be documenting the whole trip, creating stills images, social media posts, and a short film. Meet this year's climbing team! Benny Haddad is a Los Angeles based photographer and film maker. He has been hiking and climbing since his early days as a boyscout. The Alabama Hills, just outside of Lone Pine, CA is his favorite climbing destination. His daughter is named after Mt Whitney. 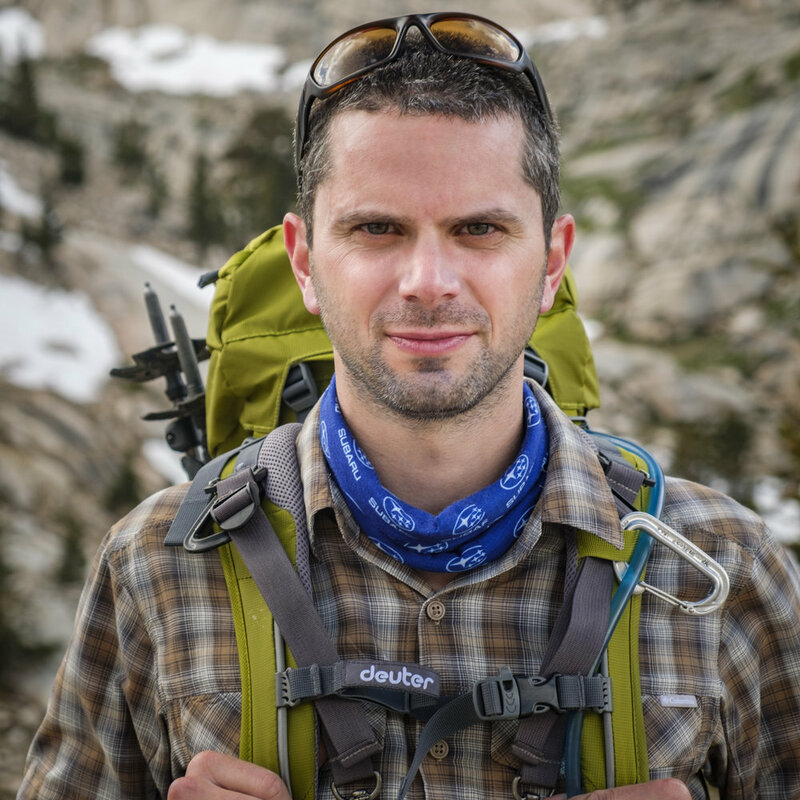 Jon Berry is a film and television editor who found his love of the outdoors later than most. Spurred on by a hiking trip to Yosemite, he dove head long into the world of outdoor and adventure filmmaking. He hopes his daughter, Sierra, follows along in his boot steps. Matt Rispoli has been backpacking in the northeast for almost 20 years. Now venturing into mountaineering, he has bagged Mt Whitney, Mt Wetterhorn, Mt Sunshine, and Mt Redcloud. The Adirondack High Peaks region is his favorite place to adventure with wife and their two sons. Zak Farmer lives in Bend, OR with his wife and four year old daughter. Formerly a competitive climber, Zak has been climbing for over 20 years and is now branching out into mountaineering. Exploring the cascades and continuing to rock climb with his family is his primary focus. Brian Lipps is an LA based photographer. From a young age you have always seen Brian’s biggest smile outdoors whether skiing, hiking or climbing always the same smile. Because of his infectious sprit and story telling he has been adopted into many families playing the roll as the “crazy uncle” very well. Jonathan Rizzo served in the military as a combat medic and then worked as a certified mountain guide and climbing instructor. He frequents the mountain ranges in the Northeast United States with his wife, and fellow climber, Jamie.